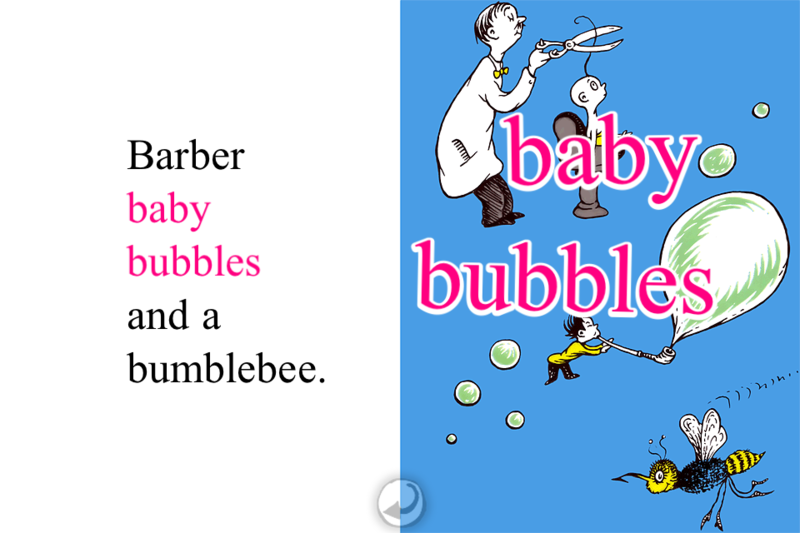 Dr. Seuss's ABCs is a fun book app, pairing great sound effects and narration with the whimsical illustrations that make Seuss books instant classics. 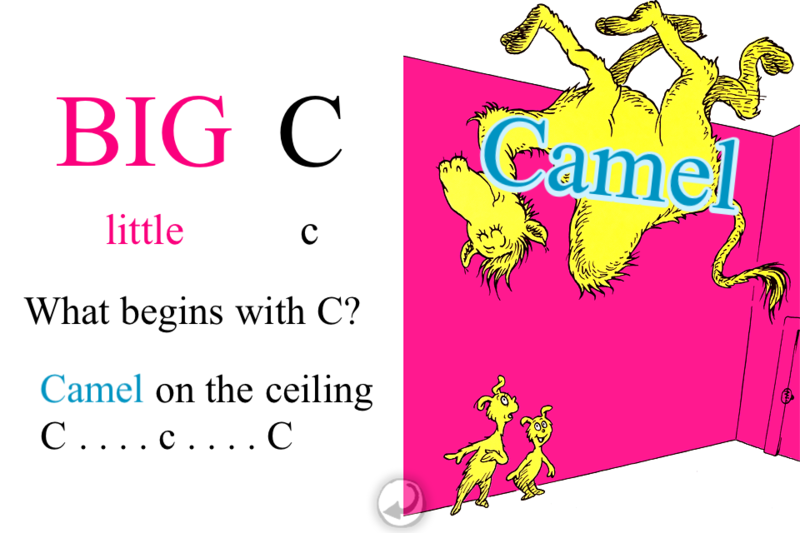 The book shows off the alphabet with crazy made-up seussical animals like the Fiffer-feffer-feff and Little Lola Lopp. In print, this book has been a favorite of toddlers and their parents since it's publication in the early 90's, with many reprints including a board book version. Like the other titles from Oceanhouse Media, this book has an eye on educational enhancements. For the read-a-long effect, each word is highlighted as it is read. You can also tap on any word to hear it spoken, even in the 'read-it-myself' mode. For interactivity, most of the items pictured in the story react to a light tap with a visual image of the word with accompanying audio (for example, tap the hat on the "H" page and hear "Hen in a hat" as the words appear simultaneously). If the image tapped is also represented in the text on that page, the word will highlight as well. A must for any digital bookshelf! 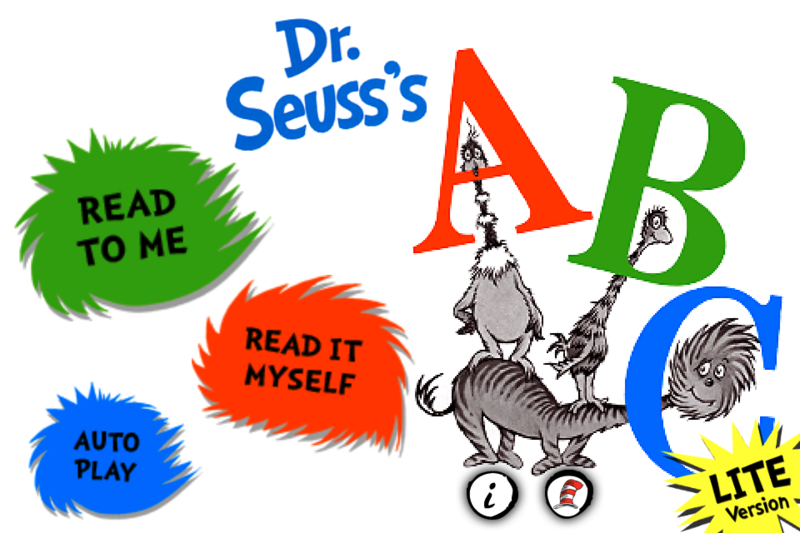 26 letter and 26 verses comprise this zany book of ABCs from Dr. Seuss. 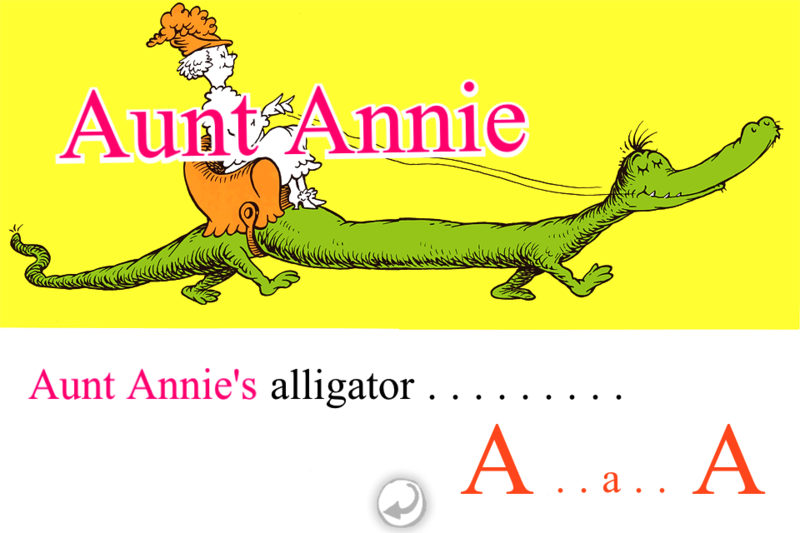 From Aunt Annie's alligator to a "Zizzer-Zazzer-Zuzz", readers will find all the letters represented along side some fabulous fictional creatures.